Transport stress may favor the development of bacterial pleuropneumonia in goats. Researchers at the Federal University of Rio Grande do Sul (UFRGS), Brazil, came to this conclusion after finding the presence of the bacterium Mannheimia haemolyitica in animals transported from the Northeast region to the southern region of Brazil. The study was published in the journal Ciência Rural (Vol. 49, No. 1), under the title “Mannheimia haemolytica pleuropneumonia in goats associated with shipping stress”. In this present paper, the researchers’ aim was to describe the epidemiological, clinical, pathological and bacteriological aspects of Mannheimia haemolyitica made from samples of forty goats that died during transport from the Northeast region to the South region of Brazil or 2 to 3 days after landing. Histopathological analyzes of 26 samples allowed them to isolate non-hemolytic strains of the bacterium Mannheimia haemolytica. They can cause disease in animals with marked immune deficiency. 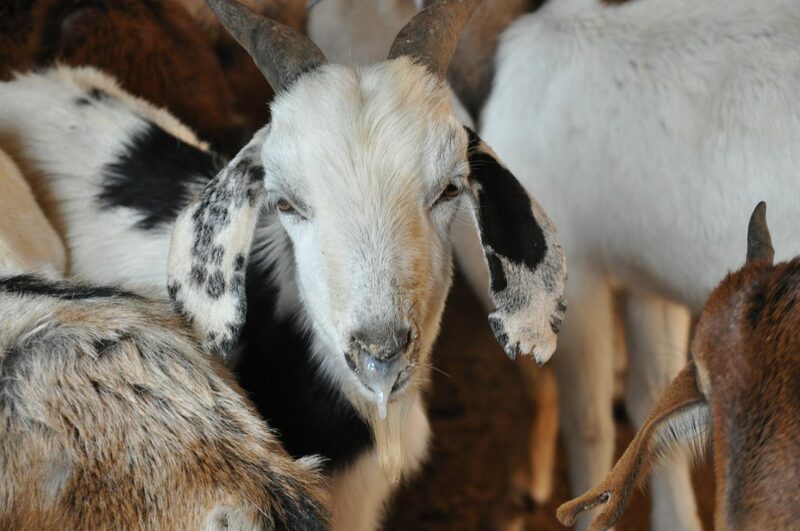 According to researchers, the study may help clinical veterinarians and pathologists in the diagnosis of diseases affecting the respiratory system of goats. In a practical sense, this knowledge can serve as a basis for improving the transport conditions of these animals and, thus, lead to a decrease in mortality. Studies describing pathological aspects of respiratory diseases in sheep, goats, cattle and birds were also developed by other research groups. This study was based on the experimental references of Mahu, et al. (2015) on pleuropneumonia in calves and also in studies such as Markey, et al. (2013) and Rahal, et al. (2014), which deal with more general aspects of microbiology and environmental influences of respiratory diseases in ruminants. Figure 1. Mucoupurulent nasal discharge in goats infected by Mannheimia haemolyitica. MAHU, M., et al. Non-haemolytic Mannheimia haemolytica as a cause of pleuropneumonia and septicemia in a calf. Veterinary Microbiology [online]. 2015, vol. 180, pp. 157-160, ISSN: 0378-1135 [viewed 25 March 2019]. DOI: 10.1016/j.vetmic.2015.08.019. Available from: https://www.ncbi.nlm.nih.gov/pubmed/26344042.